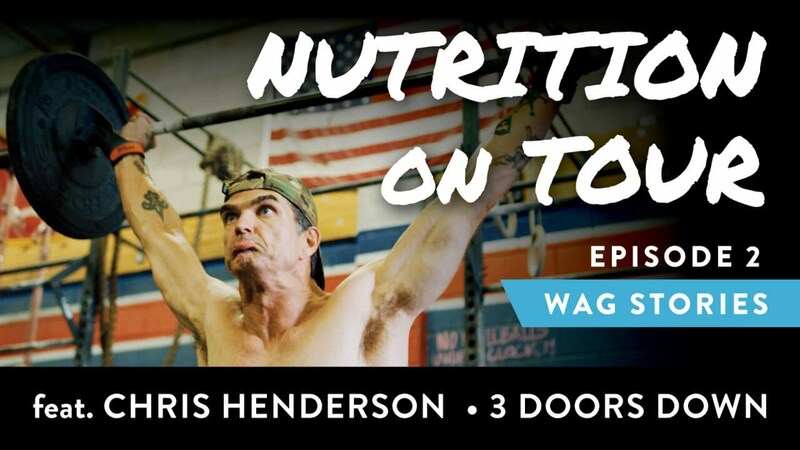 In part two of this series of WAG Stories, we get a closer glimpse into a day in the life of Chris Henderson, the rhythm guitarist for 3 Doors Down, and how he balances his nutrition, training and being a rock and roll superstar. The journey of consistency isn’t paved by accident, it’s paved with intention. From tracking down CrossFit gyms while on tour to tracking the food that was provided to him backstage, Chris illustrates how it’s possible to stay focused on your goals regardless of circumstances. Beyond the improvements to his mental and physical health, Chris shares how his lifestyle changes off stage help him rock even harder when he’s on tour.